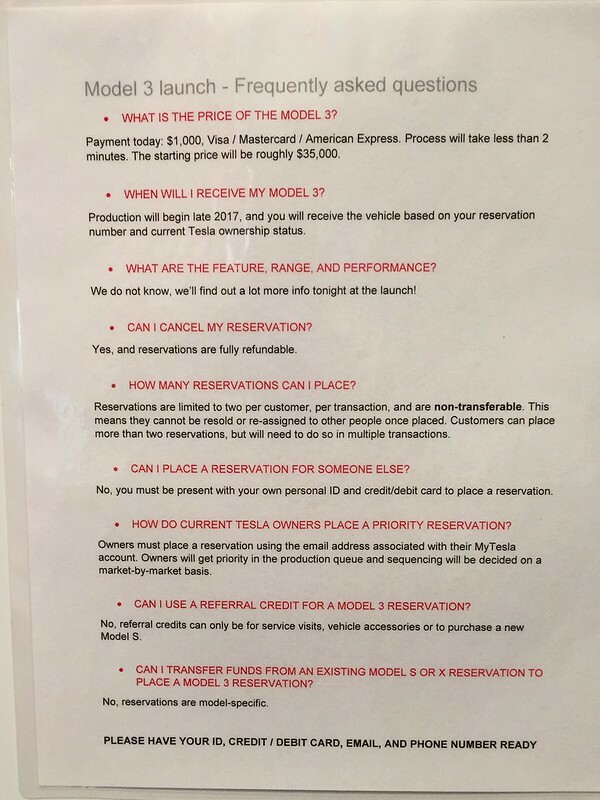 It’s been exactly a week since we placed our reservation for a Tesla Model 3 (the wonders of scheduling the publication of a blog post.) 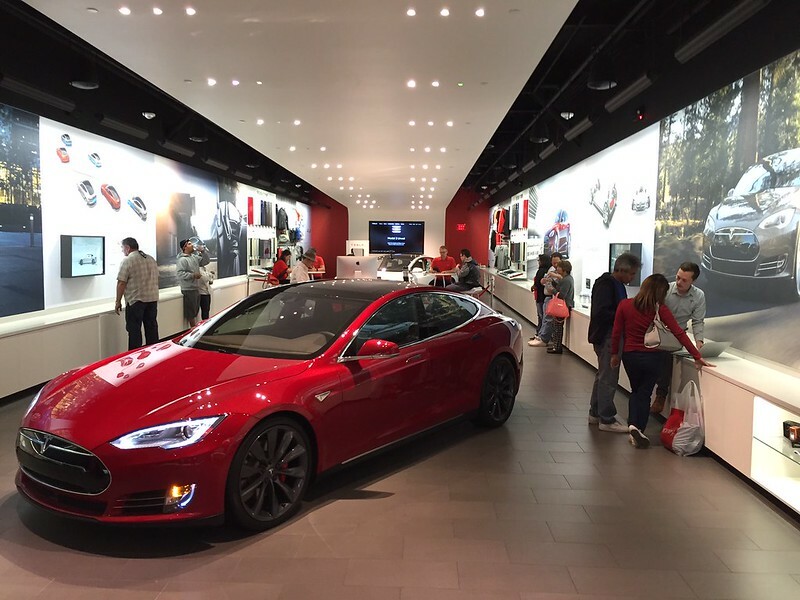 Since we already drive Teslas, the long wait is bearable. 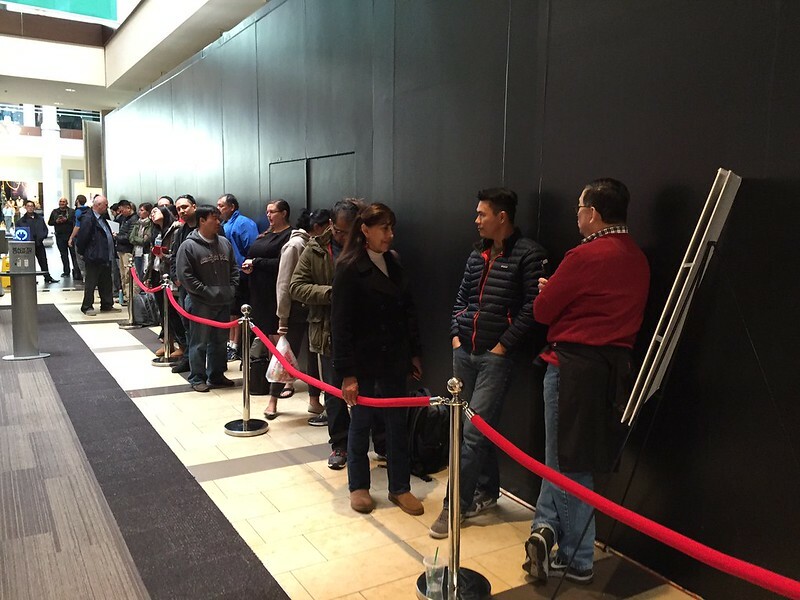 The wait in line to reserve one, however… Let me share our experience and you can decide for yourself. There were many who camped overnight, like the ones in Rocklin, CA. Not too many had to endure what the hardy souls in Montreal had to with the rain and cold. Still, we left home early for a 10:00 AM launch, but later than many. My mom has decided to upgrade her recently replaced Leaf (the original one was totaled by an SUV) by the time the Model 3 is launched and we were not going to have her camp overnight. The line at this location was long and was out the door and down the street. As we drove up to it, we estimated it to be closer to 120+ people in line. The parking lot was full and all the street parking near it was taken. The nearest place to park was quite a ways from the location and I had my mom with us. 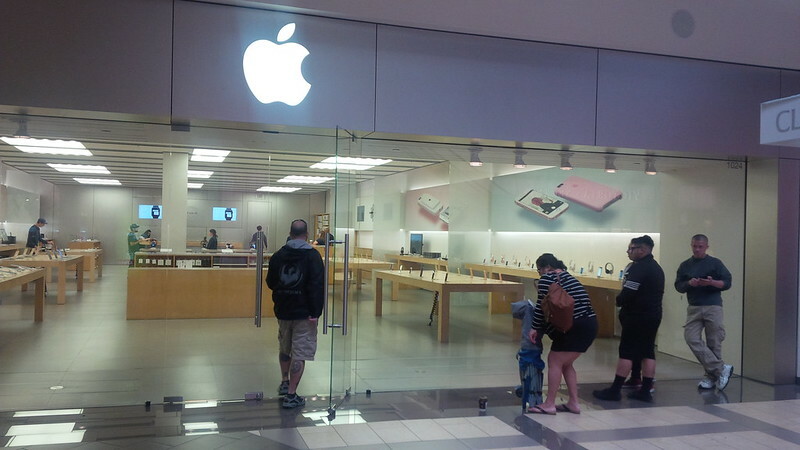 So, we proceeded to our backup store – Brea Mall. 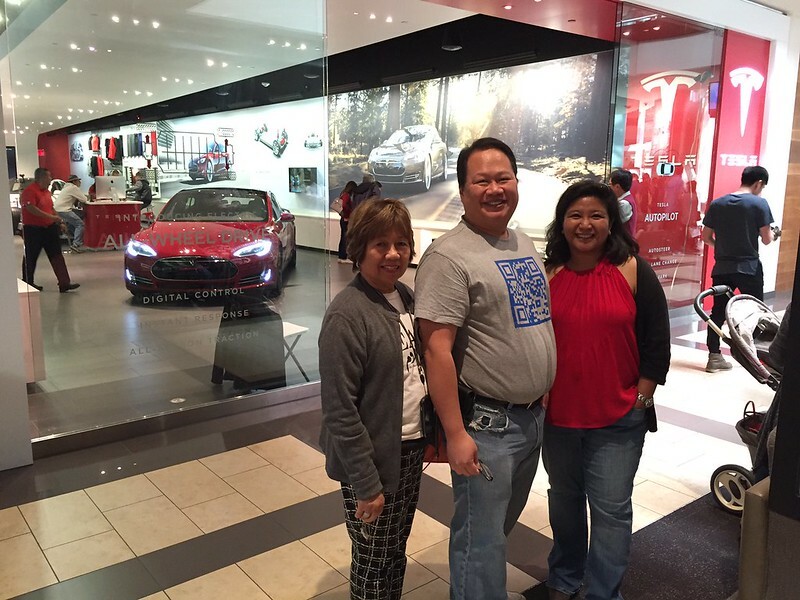 We arrived at Brea Mall and found parking and walked throughout the mall, past the Apple Store which was having its iPhone 5SE launch. 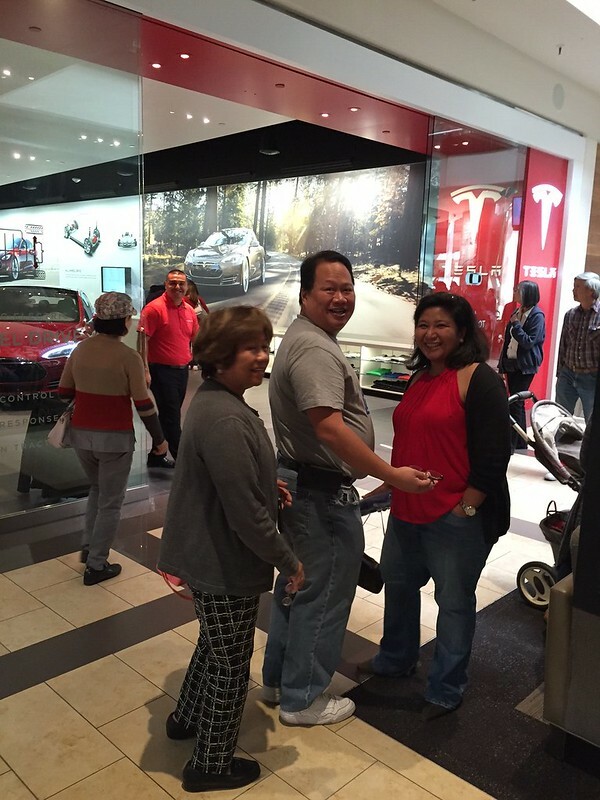 We walked past the Tesla store and start of the line and got to the end of the line by 9:15 AM. We didn’t know what number we were in line until about 30 minutes later when our friend Mark Z swung by and was counting people in line and notified us that we were 240-242 in line. On his loop back on his way to another store, he had completed his count at 320, many more added to the total as he left. 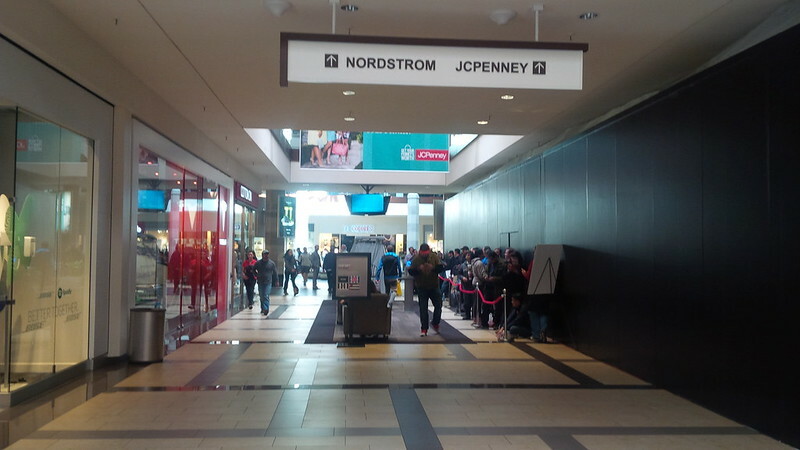 Around 1:30 PM we finally have the store and the roped part of the line in sight. 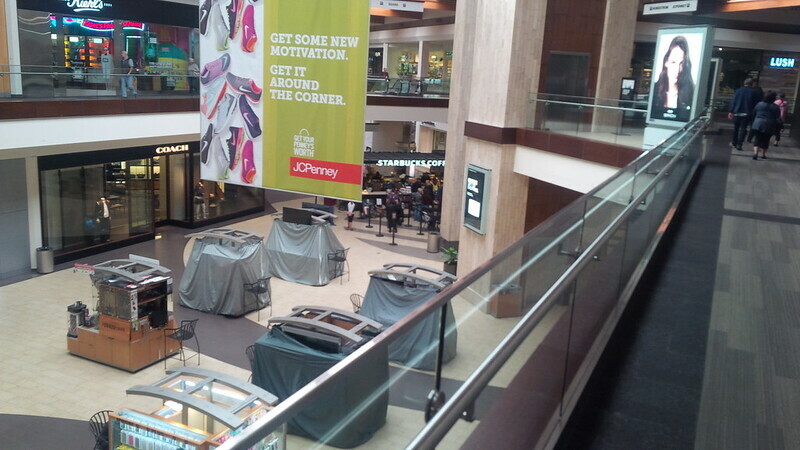 We still had a ways to go, but at least we can see the store. 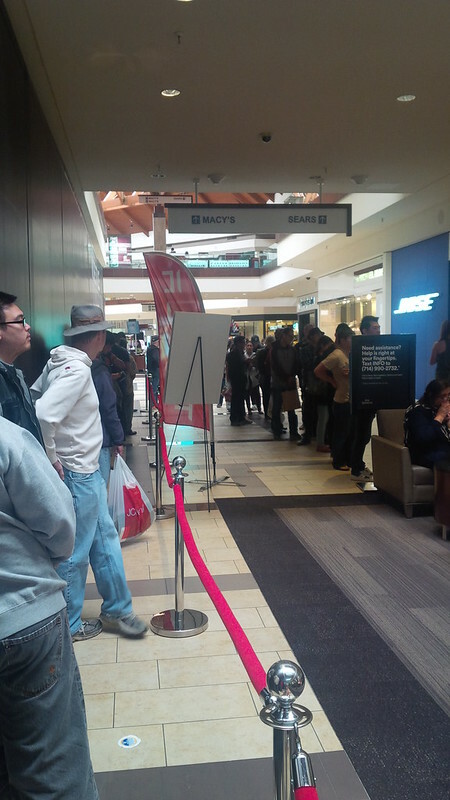 He took this picture of the line around 2:00 PM. 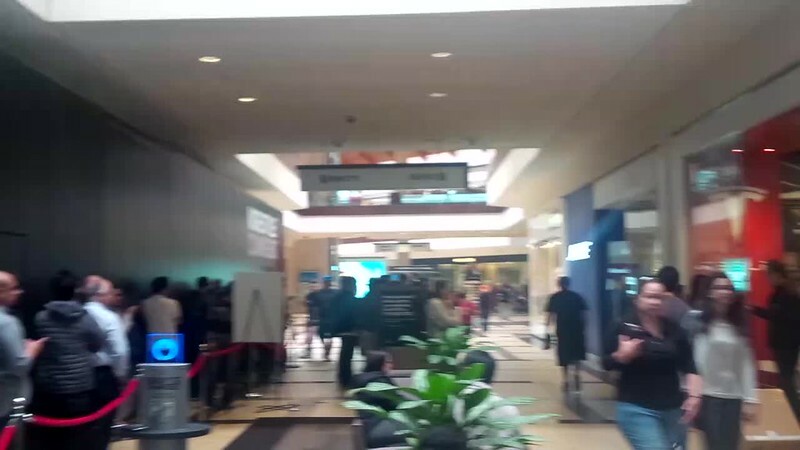 Apparently, he was 220 in line in Costa Mesa when he arrived at that location at 10:15 AM and was done with his reservation in time to catch us as we continued to stand in line. When we got back into the store we were sent to another line. Apparently this store had three employees taking orders for those in line. We sat in the same line as my mom as I was there to assist her if she needed some clarification. If you squint you can see us on the right side. And so, we’re finally taking mom’s order (picture courtesy of Mark Z again). and this next one too. 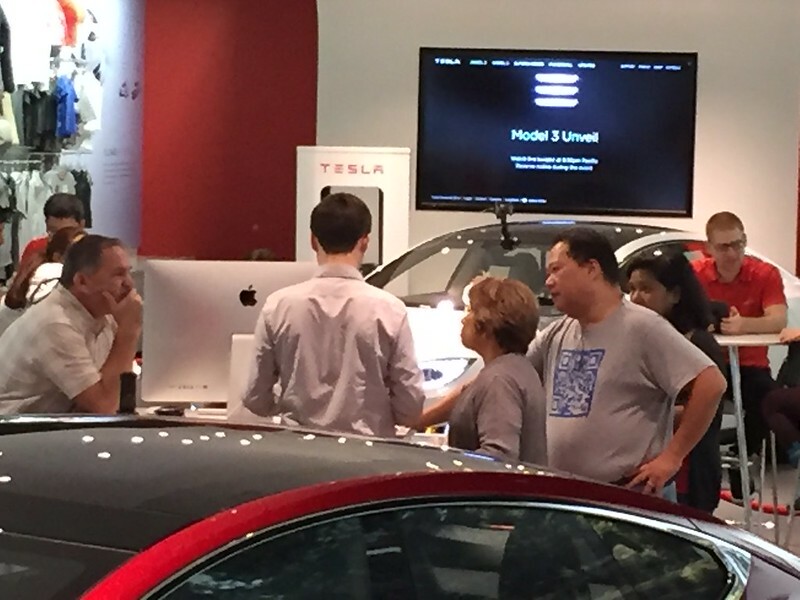 We were all set to order one Model 3 each. But when mom was filling hers out, she figured to reserve for two. Not sure what she’ll do with two, but that was good. 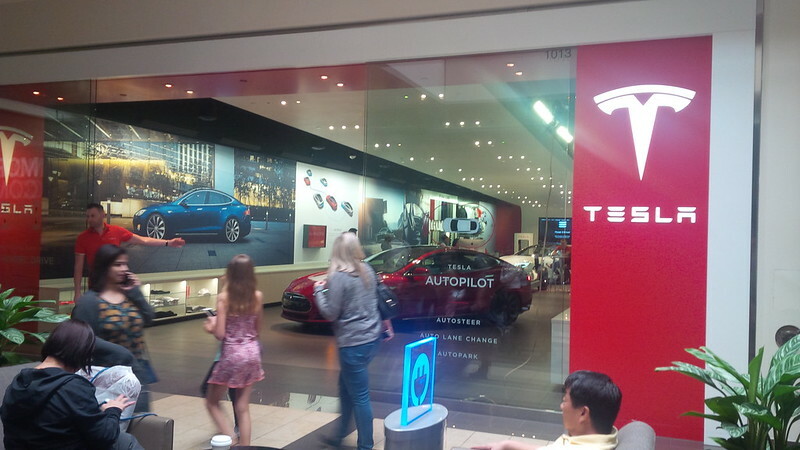 Perhaps she might just gift a Model 3 for each of my nephews (her grandsons) or perhaps she’ll cycle through three EVs. 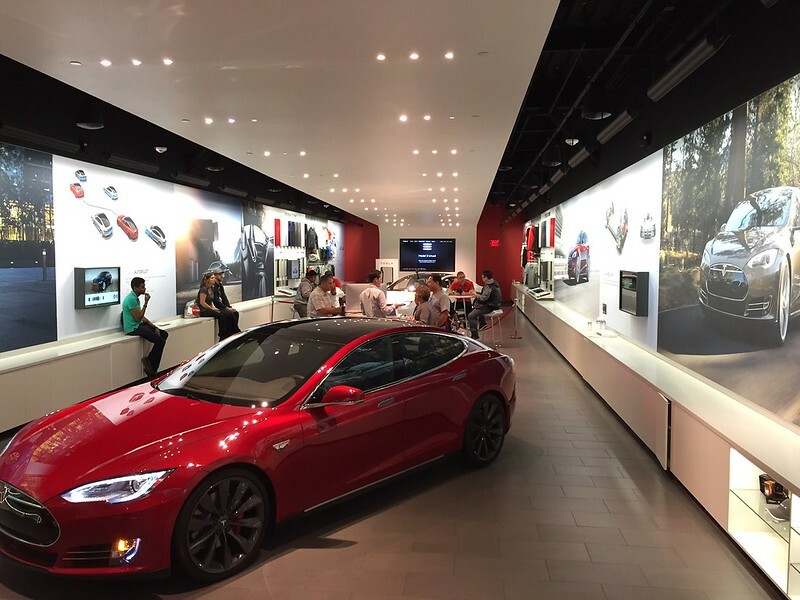 Rather than have the employee have to go through my long Tesla email, I asked if I can just go ahead and fill out the web page quickly and he let me go at it. 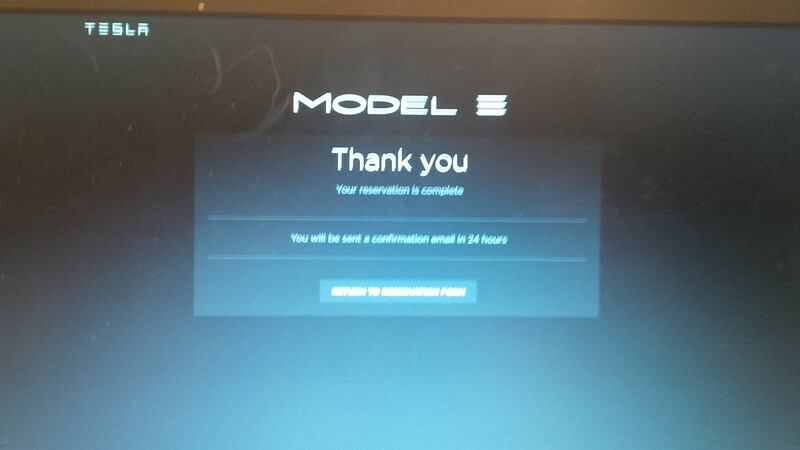 So, I started filling out the form, and the drop down said 1 or 2 Model 3. I looked over to my wife, and she said to go for two. Who am I to argue? From the time we jumped in line at 9:15 AM and from the time that the doors opened at 10:00 AM, we didn’t complete our last reservation until 2:16 PM. That means for the approximately 4.25 hours since the line opened, this store was processing 1 order every 1.06 minute. Folks around the forums are trying to figure out a pattern. I can share that Mom’s two reservations are about 4200 apart from each other. Having a week between the reservation for two Model 3 and over a year and a half (at least) wait for taking delivery of one or two Model 3s, I’ve justified to myself what a second 3 would be equal to. It’s roughly the same cost as upgrading the Roadster to 3.0. 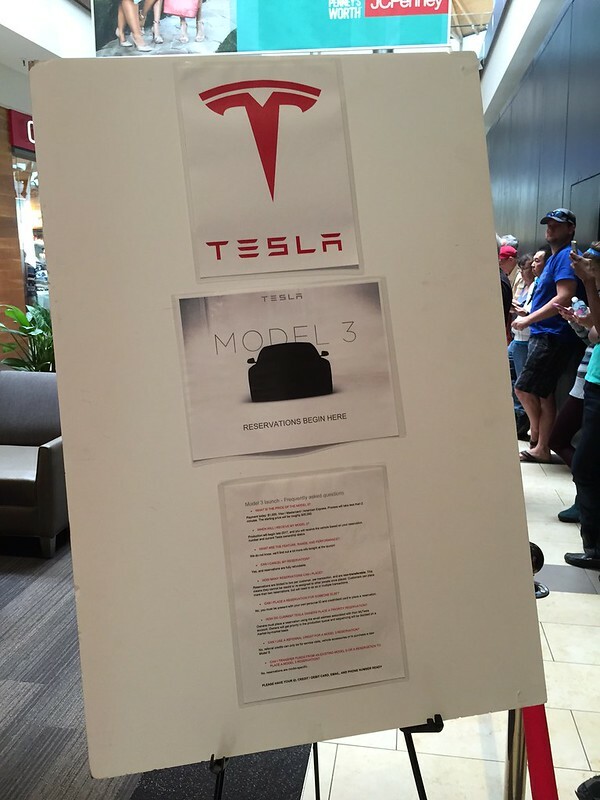 However, unlike the Roadster 3.0 battery, if we’re early enough, we could apply for the Tax Credit for the Model 3. 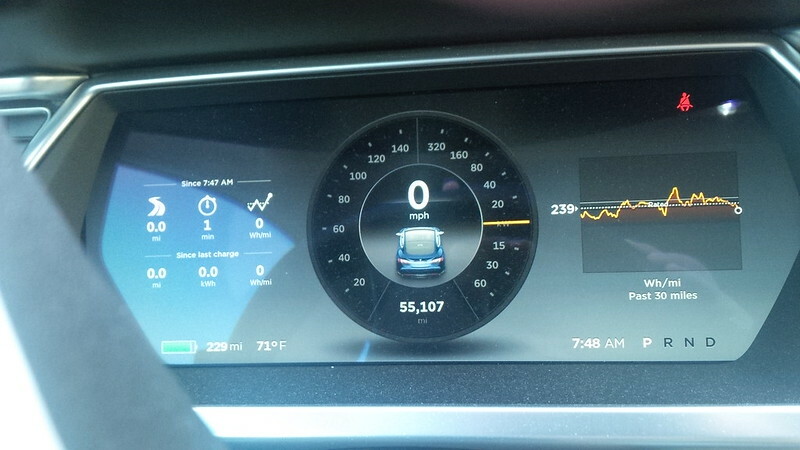 So, last week’s EV Week has gotten to be pretty epic.  3) @FIAformulaE race in Long Beach. 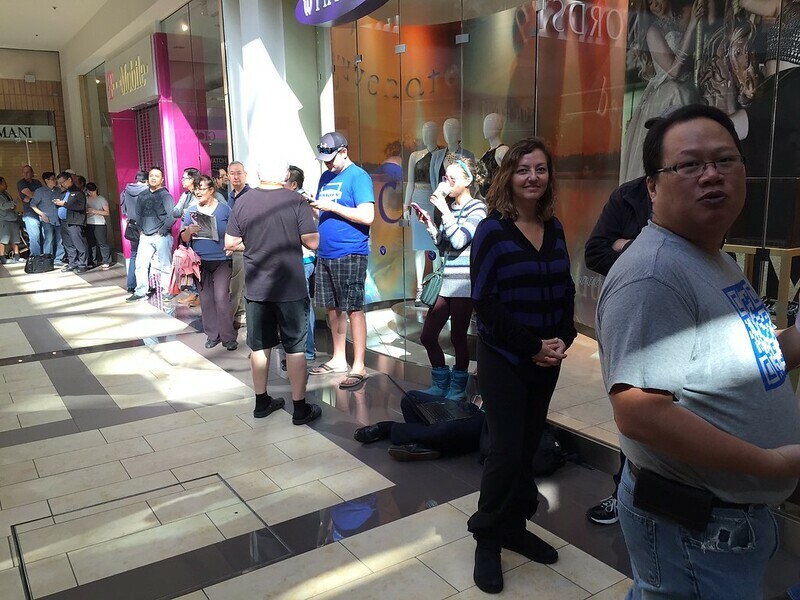 I wonder if our 4.25 hours since store opening is the longest for someone who was 240-242nd in line.